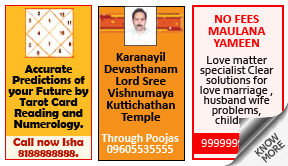 Why place Astrology Ad in Sikkim Express Newspaper ? Astrology is extensively prevalent in India, as are other practices such as tarot card reading and palmistry. Astrology aims to predict and improve people’s lives by synchronizing them with the alignment of planets. If you are an astrologer, card reader or palmist, make haste and book your ads online on Sikkim Express immediately. 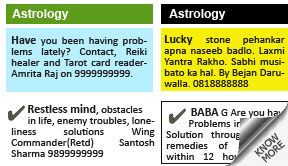 How To Book Astrology Ad in Sikkim Express Newspaper ?